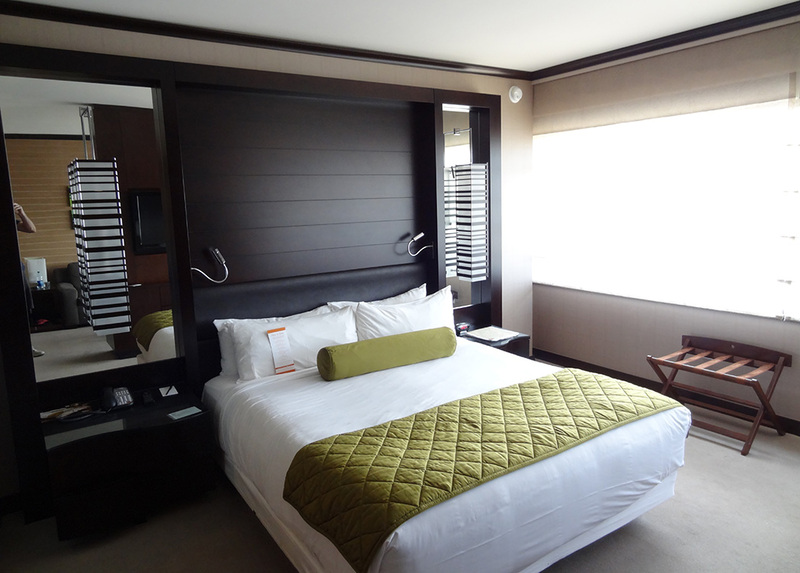 Vdara Hotel & Spa offers classy, five-star accommodations in a non-smoking, non-gaming environment. 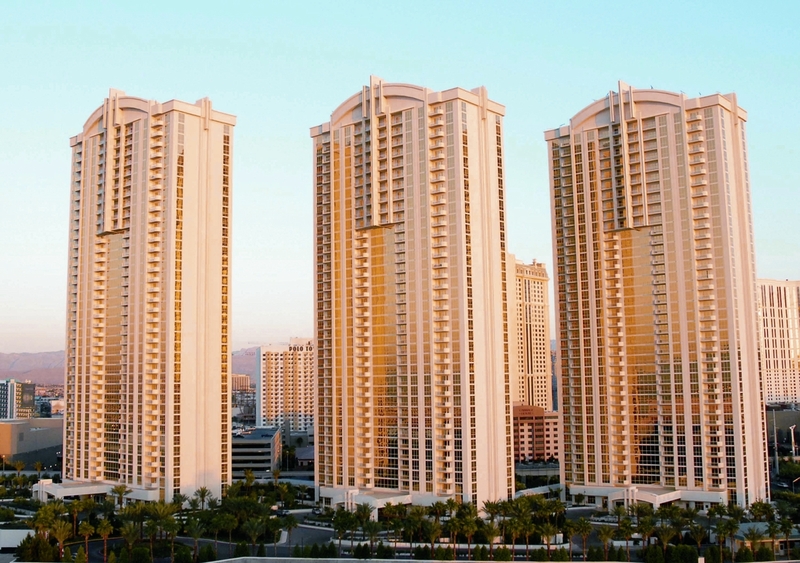 It’s quiet and lovely, yet sits in a perfect position on the strip, close to all the action. Cosmopolitan and Aria are next door. It has clean, green, well-angled quarters. 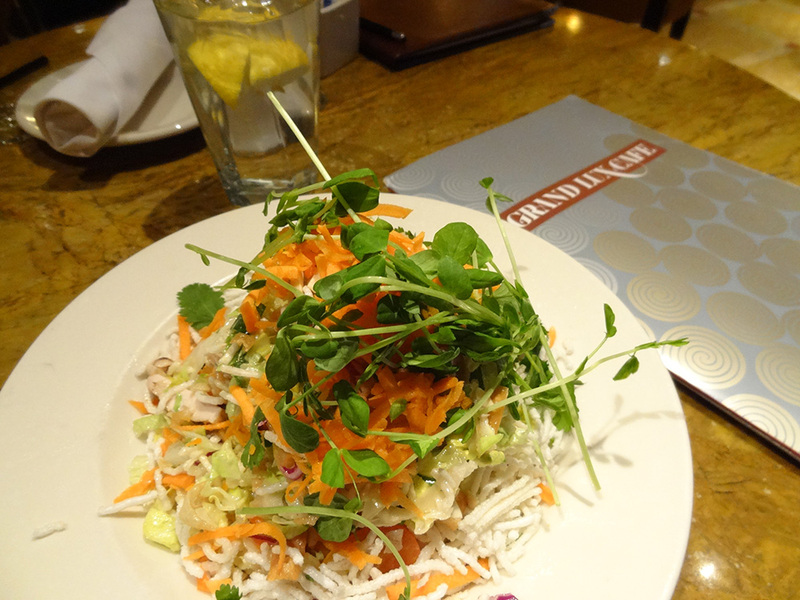 And it’s green not just in color – but via sustainability efforts as well. 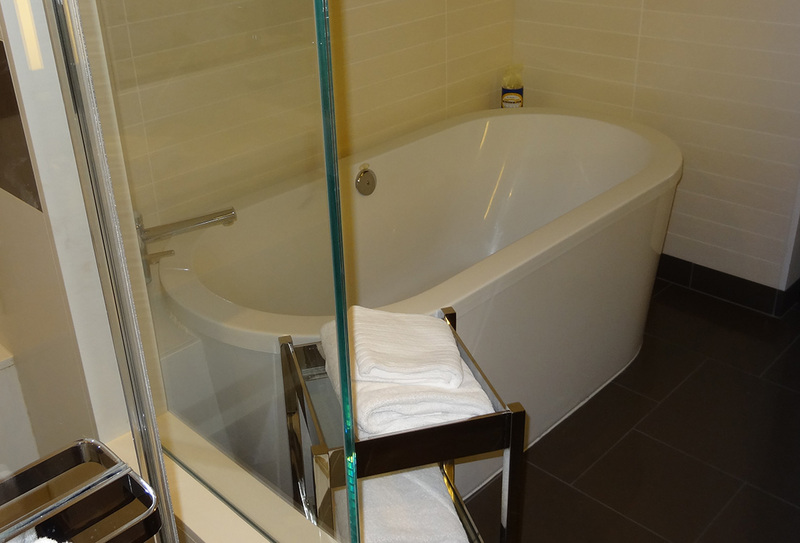 The bathtubs are nice and deep, like many Las Vegas suites these days. Cool view from the room, too. 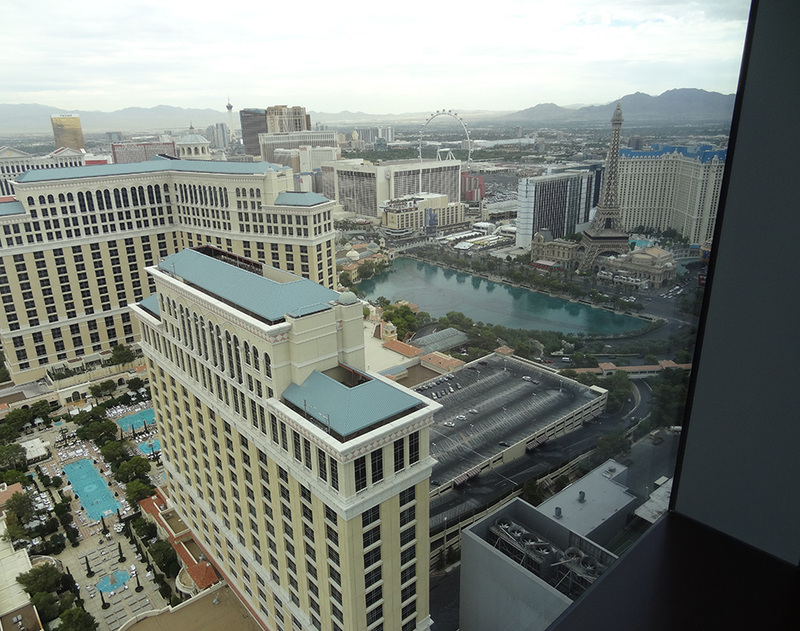 You can watch the Bellagio Fountains, extra sensational at night, or enjoy strip views with desert mountains as backdrop. Last week a friend and I stayed on the 51st floor. 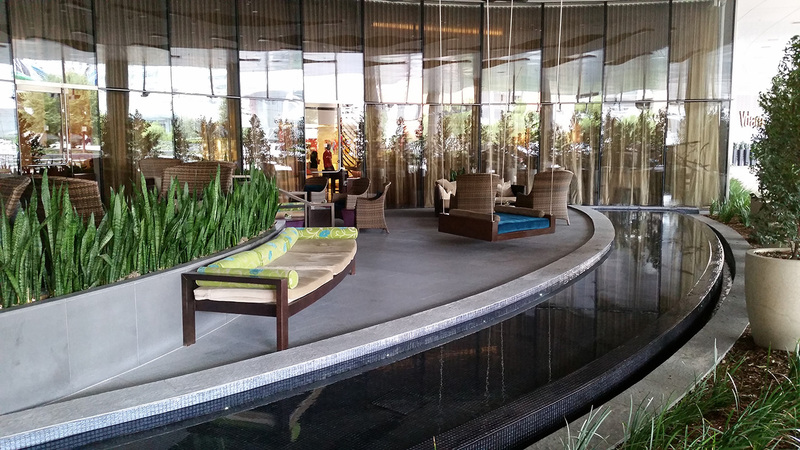 Near the lobby and check-in, they have a comfortable bar and lounge, with a pleasant patio. 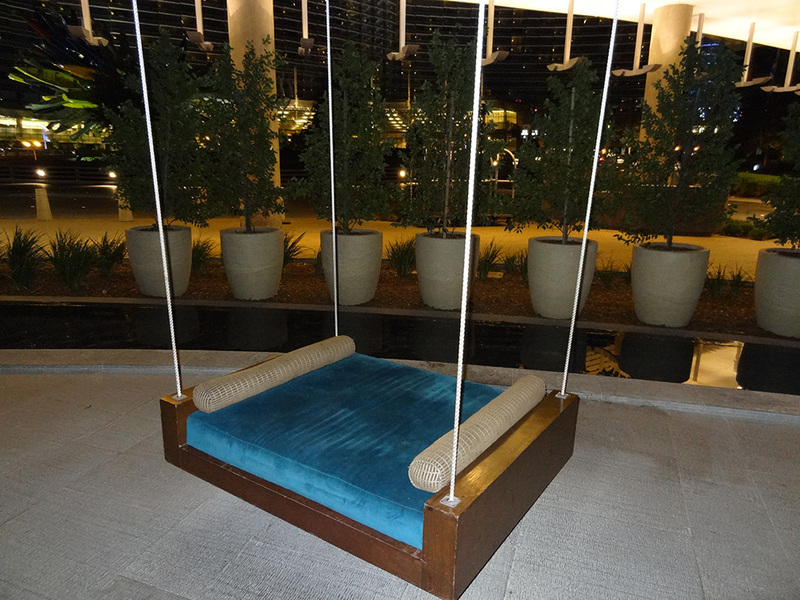 Our favorite part of the stay may have been the two delightful swinging daybeds on the patio. A brilliant idea, and time floats by when you’re relaxing in one of these. We sipped red wine and watched the sunset. Everyone we chatted with on the patio loved these daybeds, too. 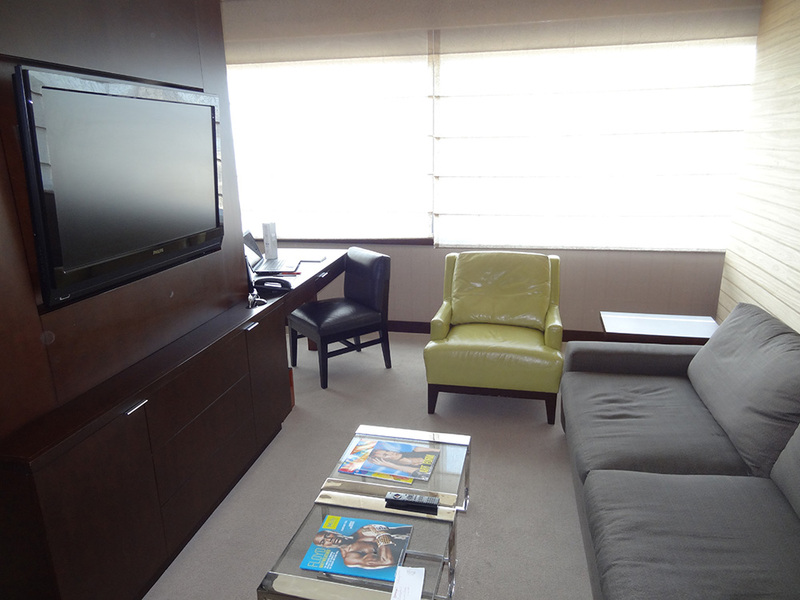 On the second floor you’ll find a high-tech fitness center and full-service spa. 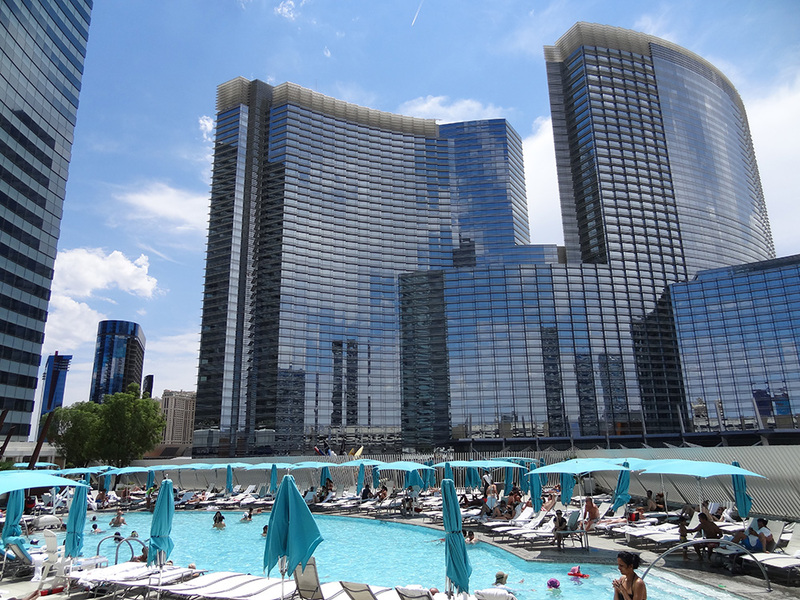 On the third floor, a crystal-blue pool with dramatic views of blue-tinted buildings. Here’s one picture below. 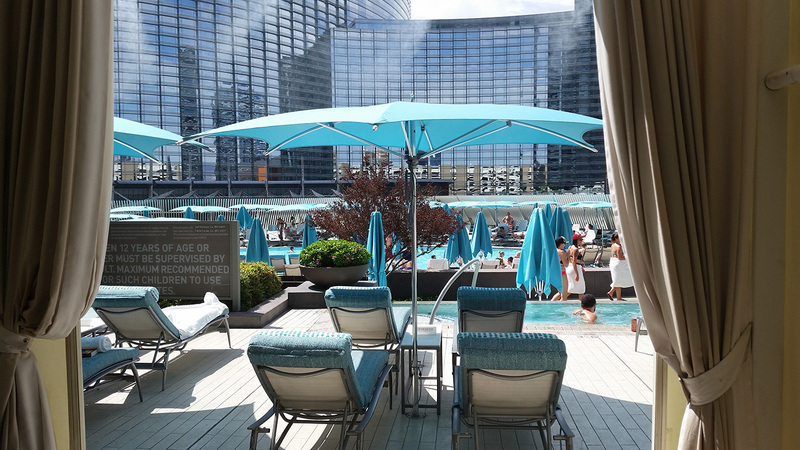 We also tried their cabanas, and you can read about that swank experience here: Pool & Lounge Vdara, Cabanas. 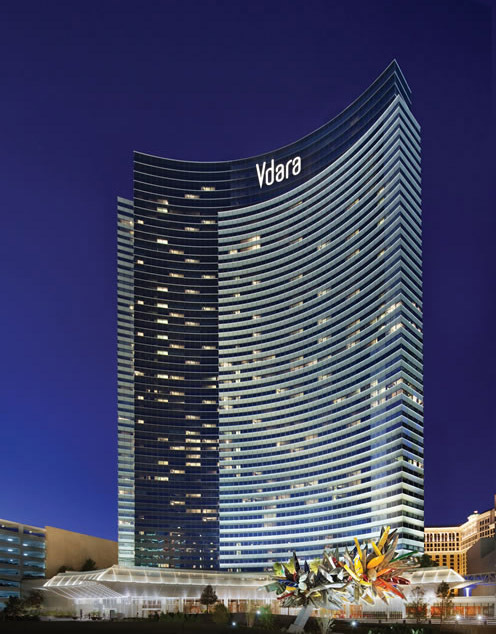 For more information on Vdara Hotel & Spa, please visit their website, Vdara.com.